What are TopPlace™ Location Score Elements? 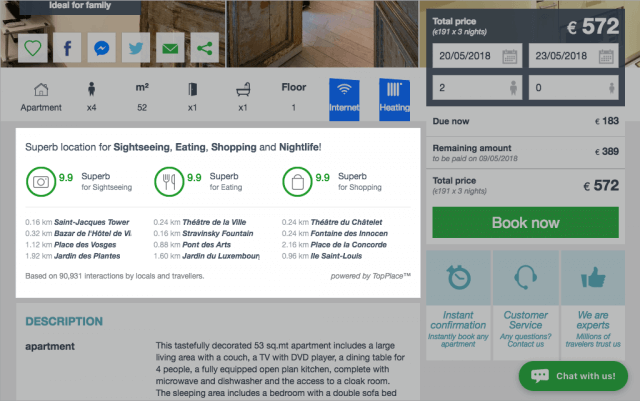 TopPlace™ Location Score Elements are designed for OTA and Metasearch sites to provide location rating scores for every hotel or apartment in relation to popular Sightseeing, Eating, Shopping and Nightlife areas. Top rated nearby POIs are also included. 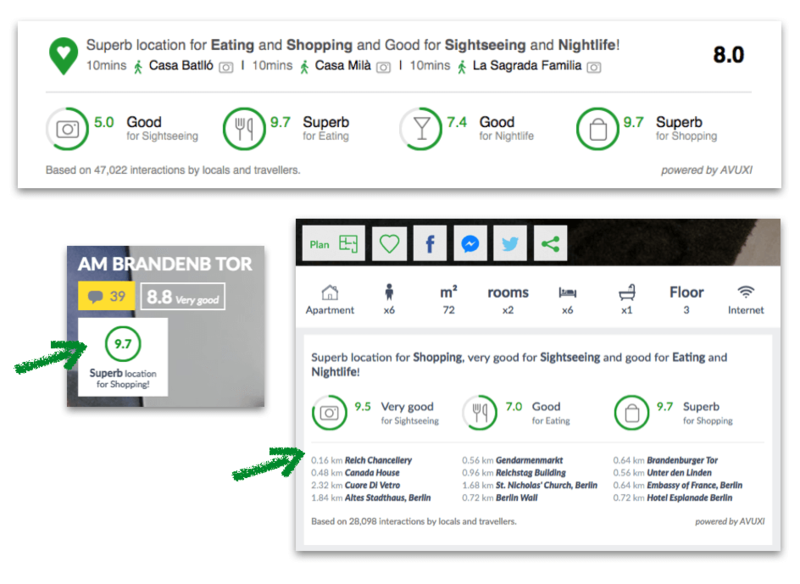 Location Scores can be displayed in different styles right on the hotels’ or vacation rentals’ list page. Visitors can identify the best options to stay at without leaving the site to do research about the location. To understand how TopPlace™ Location Score Elements are powered, have a look at What are GeoPopularity Scores? TopPlace™ Location Score Elements consist of an overall score value and 4 separate score values for each of these categories: Sightseeing, Eating, Shopping and Nightlife. 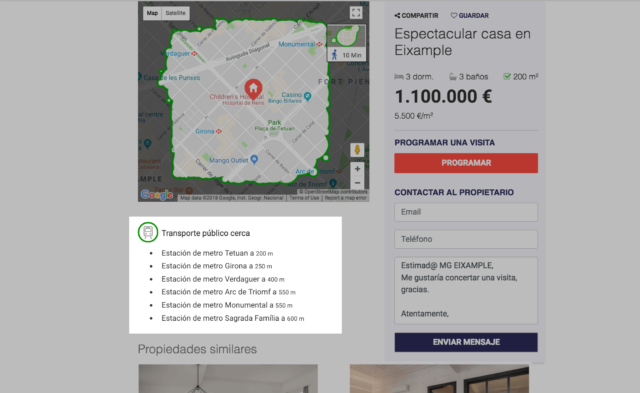 Scores can be assigned to an apartment or a hotel even prior to customer reviews being published, which is very valuable to OTA and Metasearch sites. Display accurate public transport proximity details for properties. We have gathered and verified train and metro stations in ~100 major cities around the world, their names and locations. Our algorithms instantly calculate the proximity of any given location to the nearest transport stations. Place this widget on the property details page – in you Location or Nearby section, or near a map. It will also work perfectly next to our list of nearby Sights. Or place a Close to Public Transport badge in the property cards on the search results page. Sign up for your TopPlace™ Free Trial account today!